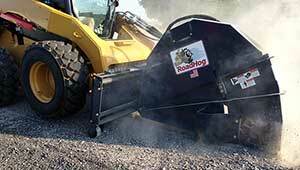 Products Archive | RoadHog, Inc.
Wheel Loader RoadHogs excel in Control Depth Milling, Full Depth Reclamation, Stabilization and Utility Cut applications. Cutting widths range from 40-inches to 96-inches and engine power can be sized at 140 HP, 200 HP and 275 HP. Tractor Loader Backhoe RoadHogs are a great fit for many applications such as Utility Cuts, Controlled Depth Milling, Pothole Repair and Parking Lot Maintenance. Standard cutting widths are 30 & 40-inch with optional drums as small as 12-inches. 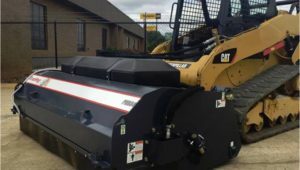 Skid steer loader RoadHogs greatly enhance productivity many applications from pothole repair, curb line relief, parking lot maintenance, shoulder repair and much more. Traditional hydraulic cold planers in cutting widths from 12 to 48-inches and cutting depths of 5, 6 or 8-inches depending on model selection. Simple design results in the most reliable and easy to use cold planers on the market today. 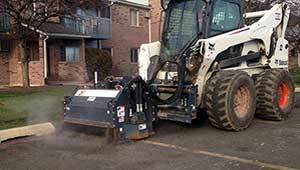 Hydraulic road saws come in two depth of cut choices, 10 and 18-inch. Cutting wheels are available from 2.5 to 6-inch widths for a wide variety of applications. 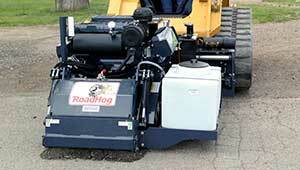 The simple, time tested driveline on RoadHog road saws makes this an easy choice for contractors & municipalities. 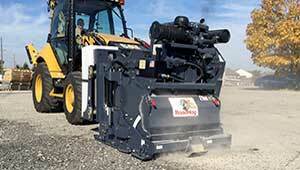 RoadHog manufactures a full range of milling quality pick-up brooms in bucket widths of 60, 72, 84 & 96 inches. Designed and manufactured to withstand the toughest applications from milling to construction debris. Lower you cost of ownership with this durable product. RoadHog angle brooms were designed to outlast the all others on the market. Offering a 30 degree hydraulic angle range, our brooms feature a heavy-duty frame and hood that withstand abuse, 32” heavy duty poly and steel wafers, and an optional hood deflector. Copyright © 2019 - RoadHog, Inc..